The Sticker Family sells custom made stickers that represent each member of one’s family uniquely. 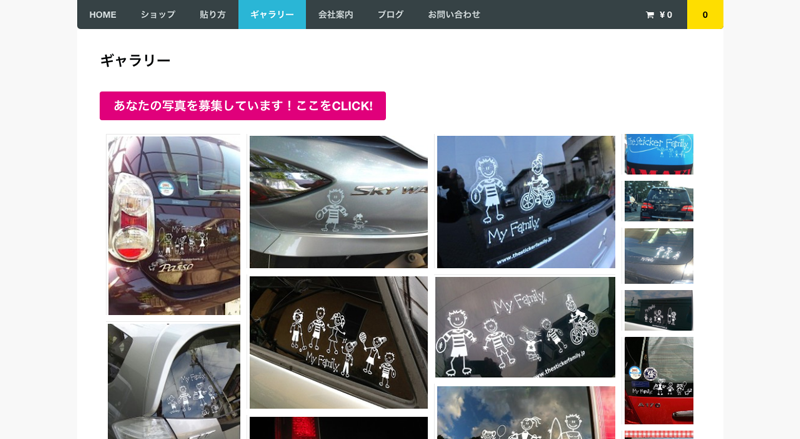 The stickers are most commonly displayed on the windows of a family car but are used in many other places as well. They use their website as an e-commerce site to sell directly to B2C customers. 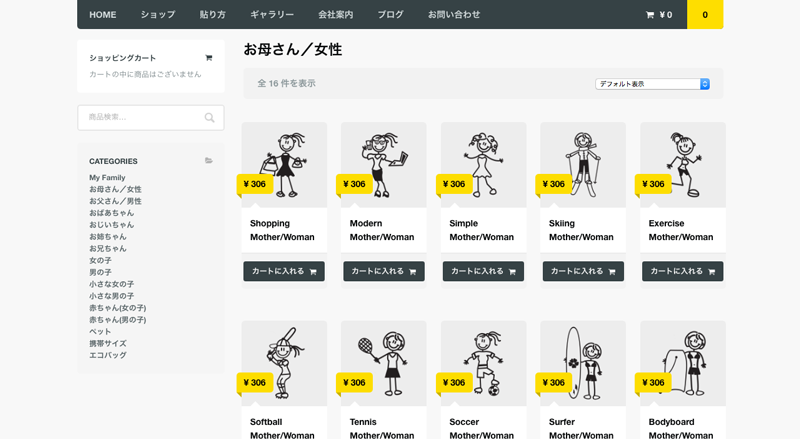 We took an existing theme for The Sticker Family and optimized it for usability, reliability, and localization. Products were organized in categories that were easy to understand and navigate by Japanese audiences. The pages themselves are also designed with prominent CTAs, inviting users to add the items to their shopping carts with little effort. The Sticker Family contacted Humble Bunny to update the theme they were using for usability, especially on mobile platforms. We proposed a responsive design and also looked deeper into their theme to find more ways that The Sticker Family could improve the shopping experience on their site. The website was created with WordPress as the content management system. In addition to design improvements, we also implemented Woo-commerce, an e-commerce platform, on the site to handle payments on the website. After completion, The Sticker Family website was launched and is currently being maintained and updated by Humble Bunny. The Sticker Family is still operating their e-commerce website and collaborating with Humble Bunny to further improve the site via maintenance packaging and consulting. We are currently working on further optimizing aspects of their sales funnel, to reduce cart-drops and enhance the performance of the website.